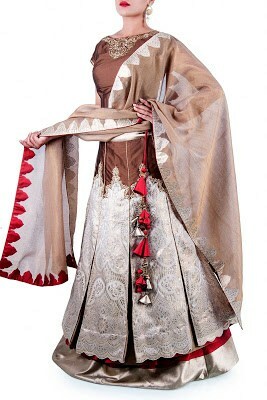 Impeccable combination of stunning compositions, pastel colors and luxe fabrics. 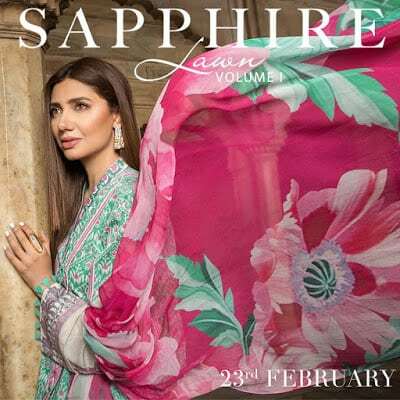 Sapphire spring 2018 Lawn Vol. 1 is available now, in-stores and online. A classic black to create a sophisticated and bold style statement! Our Spring 2018 Lawn Vol. 1, launching on the 23rd of February 2018. 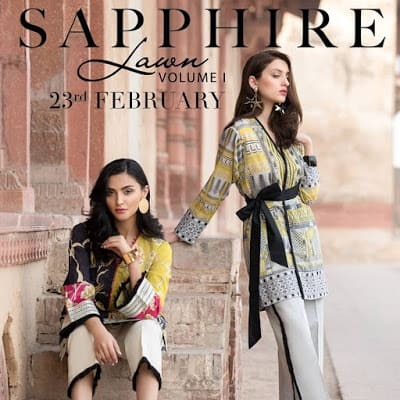 Fashion brand Sapphire launched spring summer lawn dresses 2018 in vibrant shades, patterns and designs. 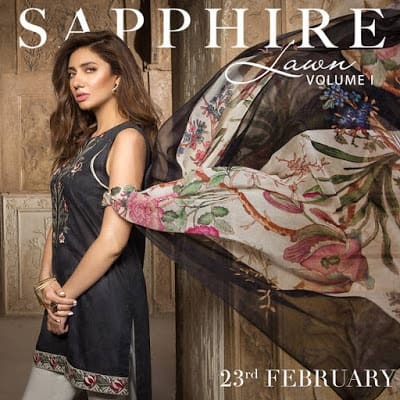 Digital Printed Fine Voile Dupatta 2.50 m, Digital Printed Embroidered Lawn Shirt 3.15 m, Embroidered Border 1 m.
The Sapphire team had fun fusing the ethnic and the contemporary theme with the classic floral – and discovered that the magic is in the mix! 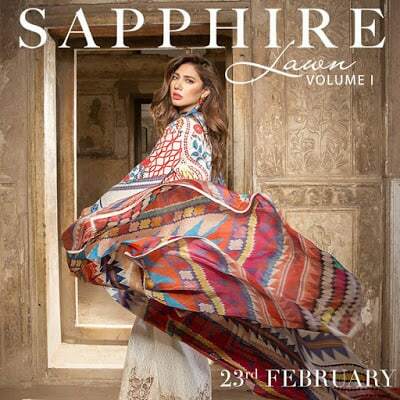 Sapphire’s Spring Summer Collection 2018 is inspired by the elements of the floral rush and its intense color palette. 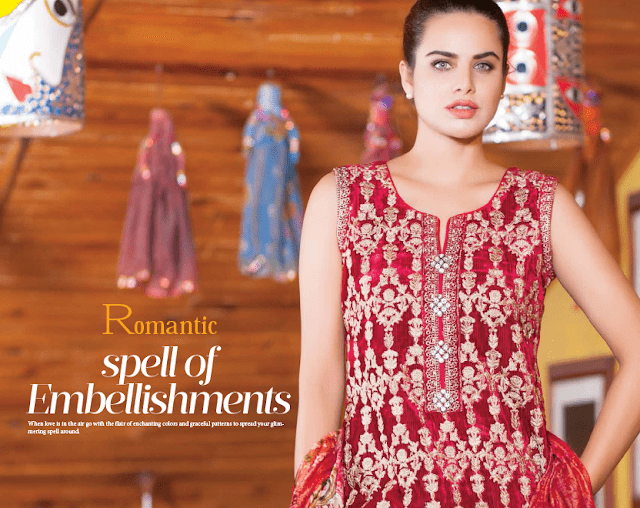 Infusing traditional patterns with trendy accents and intricate embroideries. Who wouldn’t fall for some lush floral this spring? 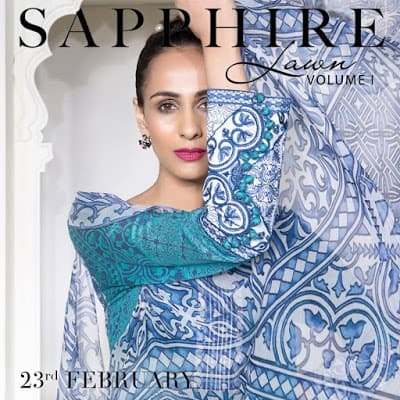 Sapphire sides with style over fashion & think that attire ought to be effortless and timeless. Free-spirited yet elegant, this is the look & feel – of now. 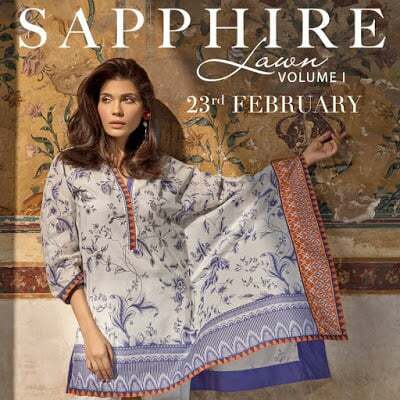 Offering a mix of contemporary and traditional prints, Sapphire’s Spring 2018 Lawn collection is one not to be missed, launching on the 23rd of February 2018. The harmony between geometric elements and florals in this design is absolutely sublime! Customize this design to any of your favorite cuts. 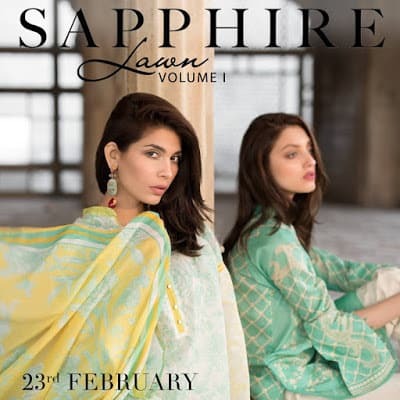 Sapphire Spring 2018 Lawn Vol. 1 has an array of prints & designs that will complete your wardrobe! Striking colours combined with blooming florals & geometric elements! 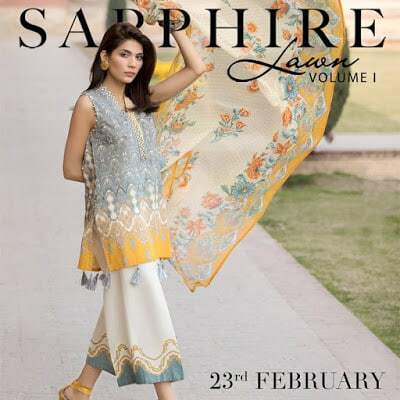 Our spring 2018 Lawn Vol 1 is launching on the 23rd of February 2018. 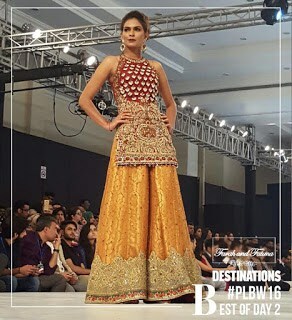 Vibrant mix of colours, elaborate details and lush materials will have you looking your best! 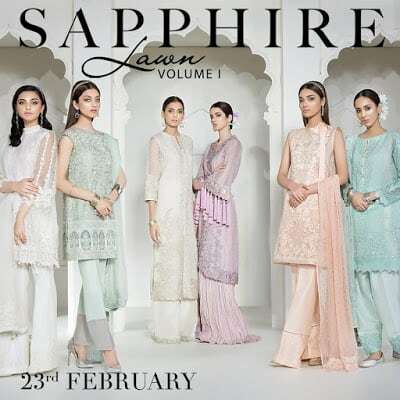 This seasons, flourish into florals with Sapphire Spring 2018 Lawn Vol 1. Launching on the 23rd of February 2018.